We are known for our Blinds. However we now also offer a range of complementary products and systems. These products extend from our ‘Mottura by Vertilux’ Curtain Track Systems to our wide range of Curtain Fabrics, which are well suited to the residential, commercial, hospitality and healthcare markets. Our curtain fabrics range from plains to woven jacquard and also printed options in FR Polyester and Trevira CS fibres. Vertilux is now truly your solution provider! Yes, we make blinds – but not just any blinds – and will continue to do so. 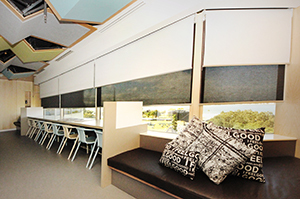 Since we began back in 1976, we have made it our mission to create Australia’s best built, hardest wearing, most interesting and innovative blinds and window coverings. This is our ongoing commitment. By always looking to improve things, we have invented many of the features that are now standard fare on Australian blinds. Take, for example, our Spring Assist system. Patented by us in 1998, it is still the only system of its kind on the market. Our Multilink system too was an Australian first when we launched it to market in 2005. Not satisfied to stop there we then added Spring Assist to our Multilink System, creating yet another first. Our Fully Enclosed Kassett System was first launched in 2006, offering 3 different side channel widths to allow for all window applications, thereby creating the most heat and light insulating blind on the market. At the same time we designed the base rail and the end cap to fit inside the side channel extrusion for smoother operation and cleaner design lines. Of course, those are just a few of the many stories we’re proud of, but they should help you get an idea of what we’re all about. Top quality manufacturing is one thing. What you manufacture from is quite another. From day one we realised our success would depend on sourcing the highest quality, most interesting and innovative fabrics from not just Australia but all over the world. 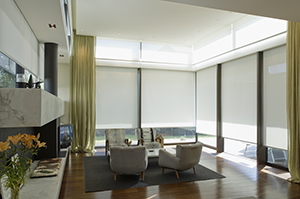 Vertilux fabrics are engineered to ensure that our blinds resist warpage, fading, and, dependent on the fabric chosen, also are resistant to bacteria and moisture. They come in an enormous range of colours – so big we struggle to fit them all into a catalogue let alone onto a website – as well as many, many textures and finishes. On a practical level, our fabrics are designed to regulate natural light whilst screening UV penetration and glare, providing cost effective insulation against seasonal extremes. After all, in every architectural environment the balance of ambient light, privacy and exposure is a critical design factor. Vertilux are recognised locally and internationally as leaders in Trevira CS® in the area of window coverings, and now we bring that same proven expertise and engineered technology to the Healthcare sector. Trevira CS® and Polyester FR Healthcare and Hospitality fabrics that are Anti Microbial and Flame Retardant, and meet both the function and strict design requirements for your hotel, resort, hospital, health clinic, lifestyle living and medical practice fabric needs. No two architectural specifications are the same. That’s why no two orders we fill are the same. Every blind and curtain track we make is custom cut and featured to order. Customisation is our speciality. No two windows are ever the same. Whether it is blinds for your residence, brackets to meet a specific installation for your building project or you would like us to work with you to design a printed fabric for your blinds or curtains. We can make one or we can make one thousand. Just send us your spec and let our factory do the rest. Vertilux is here to help. Long before the environment was hot on everyone’s agenda, we were concerning ourselves with water, waste, material and energy usage. We simply called it efficiency. Under the mantle of Waste Not Want Not, we aim to reduce the impact of everything we do. Metal tubing is ordered cut-to-length so off-cuts are at a minimum. The paper boxes that materials come in are reused to package freshly made blinds, off to be installed. Factory ventilation is minimised in winter to reduce heating and maximised in summer to avoid air conditioning. And that’s just the start of the story. For our complete efficiency – sorry, environmental – credentials, click here. There was a time that people went out of their way to buy Australian made. We believe that time should still be now. We believe that, as long as the quality is as good (or, as we like to think, in our case better) than what you can buy from overseas then by buying local you’re keeping jobs in the country and saving a whole lot of fuel, carbon and money being burned shipping things across the world. Our state-of-the-art factory lives in Melbourne, Victoria, right near the airport. We employ over 100 people, pay taxes and help make sure everyone from the local sandwich bar to the local steel manufacturer has a future.